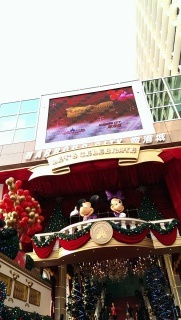 (Hong Kong Disneyland) Disney's Sparkling Christmas 2013 + Programme "Pump up Little Moments of Happiness"
This year, Disney’s Sparkling Christmas gets merrier! 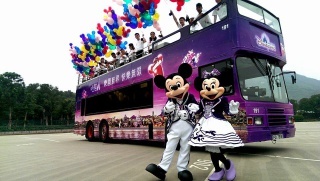 Mickey and Minnie will bring along Mickey head-shaped Happy Balloon, which symbolizes happiness, and travel from Hong Kong Disneyland to different corners of the city to spread holiday merriment! 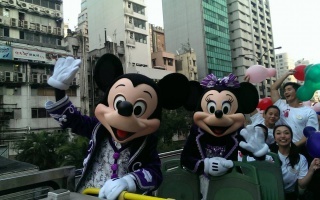 De plus Hong Kong Disneyland a lancé un programme de charité, “Pump up Little Moments of Happiness”. 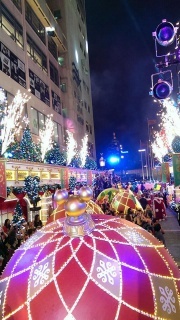 Il suffit de se rendre sur la page officielle ( www.happymoments.hk ) et de cliquer sur le bouton "pump up". 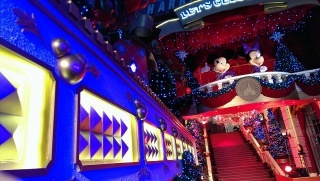 Par bloc de 100 clicks, Hong Kong Disneyland invitera un enfant à visiter le parc gratuitement et à vivre un moment magique. 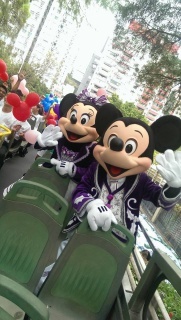 Show your support to Hong Kong Disneyland’s “Pump up Little Moments of Happiness” charity event! 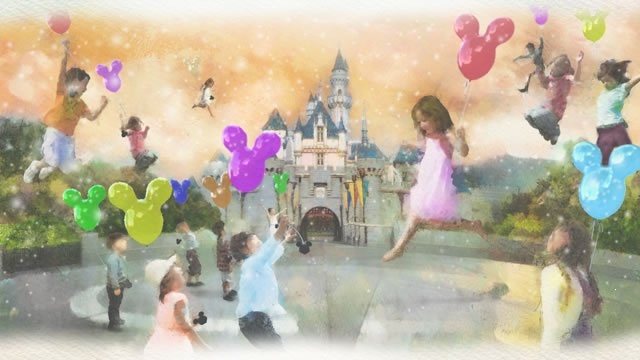 From now to December 31, for every 100 “pump ups” on the event official website ( www.happymoments.hk ), one child from the beneficiary charity will be able to visit the Park for free and have a magical experience. 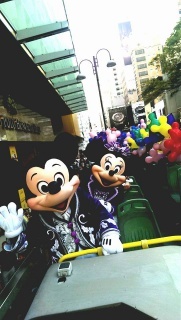 Join us spreading happiness now!